This is the Year of the Zucchini at my house, so this week’s recipe once again features this plentiful vegetable. The recipe is adapted from 101 Things to do with Zucchini – enjoy! Cut zucchini in half lengthwise and scoop out the pulp, leaving about 1/2 inch of shell. Chop the pulp. Pour the water in a baking dish and put the zucchini shells in the dish, facedown. Cook the zucchini in an oven at 350 degrees for about 10 to 15 minutes, or until the zucchini is tender. Saute pulp and tomato in butter until tender. Add the eggs, salt and pepper. Once the egg is cooked, spoon it into the zucchini shells. Top with cheese and cook in the oven until cheese melts. The National Zoo announced earlier this week that Mei Xiang has given birth to twin pandas! This is the third time she’s given birth, but it’s going to be a bumpy ride – pandas usually don’t nurse both twins, so the zoo staff will have to employ some creative techniques over the next few weeks. Fortunately, the National Zoo staff recently successfully raised a sloth bear cub, so they can use that experience in this situation. (Photo: Tallie Wiles, Smithsonian's National Zoo). During the summer, all the veggies, fruit, and salad we eat come from the CSA or our garden. It’s all fresh and whole. But I have to admit, during the winter, I’ll often reach for those bags of salad greens, just because they’re easy. I always had a sneaking suspicion that I really should just go with the heads of lettuce (and not just because it’s cheaper), but hey, I get a little lazy as the daylight gets shorter. Treehugger.com recently posted why my suspicions were correct. In 7 Reasons to Ditch Packaged Salads, they list why we should stick with the heads of lettuce, spinach, kale, etc. The reason that’s most convincing to me is the fact that a tremendous amount of water is used to produce those little bags and their contents. Be sure to read the article for more reasons. So in the spirit of fresh salads, this week’s recipe is a favorite – Arugula and Fig Salad! 1) Combine all ingredients in a salad bowl. I never use the dressing, so test it before adding any dressing to your salad. Enjoy! We often think that the truly impressive natural wonders are in places like Africa or Yellowstone National Park, but there’s a record-breaking migration happening in your backyard every year around this time. The monarch butterflies are starting to arrive here on the East coast! Yesterday, Vanessa (a park employee) and I headed out to collect monarch caterpillars and eggs – they’ll be raised indoors and then released once they’re adults. The staff and visitors at Sky Meadows State Park participate in tagging and tracking these fascinating insects on their annual migration to Mexico. 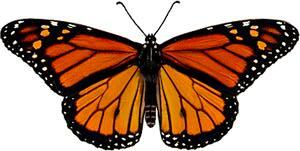 and end up as adult monarch butterflies! The Sky Meadows staff participates with Project Monarch Watch to tag and release these butterflies, This citizen science project helps researchers learn more about monarchs, and it’s a fun project families can do together! monarch butterflies have just one larval host plant (the plant that the caterpillars eat) – milkweed! That’s why it’s so important to provide lots of milkweed in your gardens. monarch butterflies are distasteful and even toxic to many predators, thanks to the cardiac glycosides found in their larval host plants. 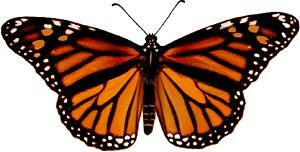 the monarch butterfly has its own IMAX 3D movie – The Flight of the Butterflies! This story of the monarch butterfly migration and the scientist who studied it is a fascinating one and appropriate for all ages. Take a little time out this summer and fall to enjoy this marvel of the natural world that’s right in your own backyard! 3 for 1 pesto from Guest blogger Marna Ashburn Krajeski! It’s pesto season, so I’m reposting this 3-for-1 set of recipes from Marna Ashburn. Lots of tasty dishes here! Be sure to “like” greenmomster on Facebook for your weekly recipes and environmental news. Nothing says summer (even end-of-summer) more than homemade pesto. You can make it now with fresh basil from your garden or the farmer's market and freeze it in small portions for use later. Fresh is best, of course, but even your frozen pesto has more vivid flavor than the store-bought stuff in the dead of winter. Combine everything in a food processor on low, then medium speed. Thoroughly work into a smooth paste. Toss with hot drained pasta. Refrigerate leftover pesto. I always say that once you've hauled the food processor from the bottom shelf of the pantry, you might as well whip up some hummus. This high-protein spread goes great on crackers or a baguette slice, especially when topped with bruschetta (the recipe for bruschetta follows.) It's a filling summer appetizer you can eat outside on the deck. This hummus recipe is also from the Moosewood Cookbook, revised edition. 1. Place garlic, parsley, and scallions in a food processor and mince. 3. Season to taste, if desired, with cayenne and cumin (and correct the salt, if necessary. Transfer to a tightly-lidded container and chill. To celebrate World Elephant Day, here’s a repost with lots of links for you to enjoy and learn about elephants. Read and learn about these fascinating creatures. An easy read on elephants that I really enjoyed was “Echo of the Elephants” by Cynthia Moss and Martyn Colbeck. Support elephant conservation. 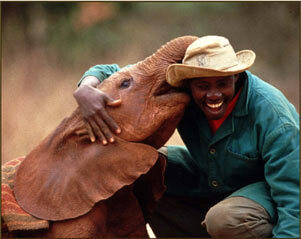 Two groups worth looking into:Save the Elephants and The David Sheldrick Wildlife Trust. The Diane Rehm radio show just had an informative hour on elephant conservation. CBS Sunday morning just presented a great program on the fight against elephant poaching in Africa. Take some time; read and watch. Then decide how you’re going to help out. Well, the first Republican debate has come and gone, and not a single question about climate change. Thus, I’m reposting from earlier this year – maybe we can get a few of these questions included in the next debate? Be sure to "Like" greenmomster on Facebook! Everyone has issues that he or she hopes the candidates will address. I’m hoping that the candidates for President/Senate/Congress can put down their single smart phones (with only one email address), drop the snowballs, and stop decorating their offices “Downton Abbey” style long enough to answer my questions. What is your plan to move the U.S. economy toward a sustainable energy supply that decreases our carbon footprint significantly? How do you plan to work with other nations, particularly India and China, to decrease the global use of non-renewable energy? How do you plan to support and encourage U.S. industry to innovate to become a world supplier of green energy technology? Now that we’re in the middle of what scientists consider to be the 6th global extinction event, what’s your plan for protecting global biodiversity? What is your “national water strategy”, including maintaining supplies of freshwater in the U.S. and abroad, and dealing with refugees from areas affected by sea level rise or drought conditions? Are you actually planning to support the crazy idea of drilling for oil off the southern U.S. Atlantic coast, particularly off the coast of Virginia? 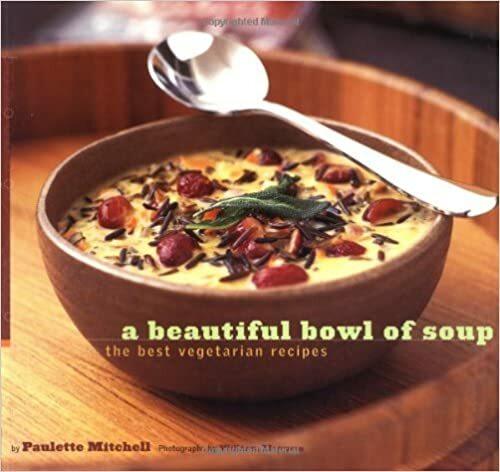 This week’s recipe comes from one of my favorite cookbooks, A Beautiful Bowl of Soup, the best vegetarian recipes, by Paulette Mitchell. This particular soup is a vegan recipe and always a crowd-pleaser. Enjoy! 1) Heat the oil in a large pot. Add the onion and cook until translucent (about 5 minutes). 2) Add the bell pepper and garlic. Continue to cook until the bell pepper is soft. 3) Add the vegetable stock and tomatoes with juice. 4) Increase the heat and bring to a boil. Stir in spinach, parsley, and orzo. Reduce the heat and simmer, stirring occasionally until the spinach is wilted and the orzo is tender. 5) Stir in the lemon juice and season to taste with salt and pepper. I usually double this recipe for my family of 5. The Clean Power Plan–and that’s no bull! This plan is a welcome step in the right direction, hopefully preparing us for the climate talks in Paris this fall. It shows the world that we’re “acting locally and thinking globally.” Many folks say the plan will be too expensive, but they’re not taking into account the cost of doing nothing – the costs of increased sea level rise (talk to folks on Smith Island, Kiribati, Miami, or Bangladesh if you think it’s not important), higher rates of infectious disease, and increased losses of biodiversity. Renewable energy is a worthwhile and attainable goal. Did you know that the tiny state of Bavaria in Germany has more solar energy generation capacity than the entire U.S.? Yes, the Bavaria that’s known for the snowy Alps – if they can do it, so can we! The Bavarians – their beer is better than ours and now they’re beating us when it comes to solar?! We’ve got to catch up!